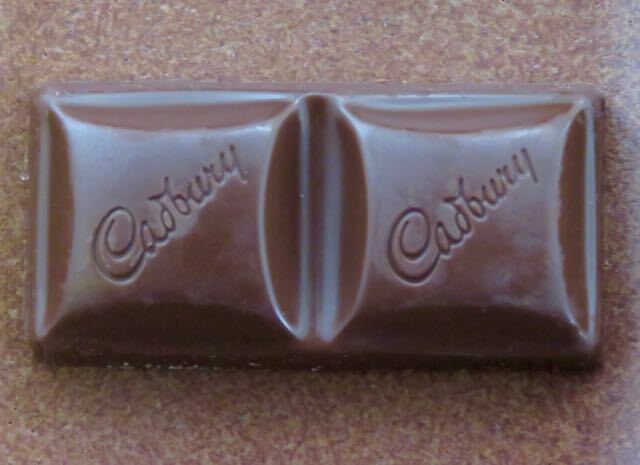 Welcome to Day #6 of Cadbury Chocolate Theme Week. 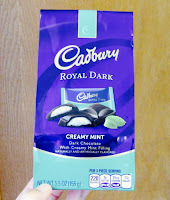 Today's individually-wrapped Cadbury Royal Dark Creamy Mint chocolates were the best ones I've tasted so far this week. 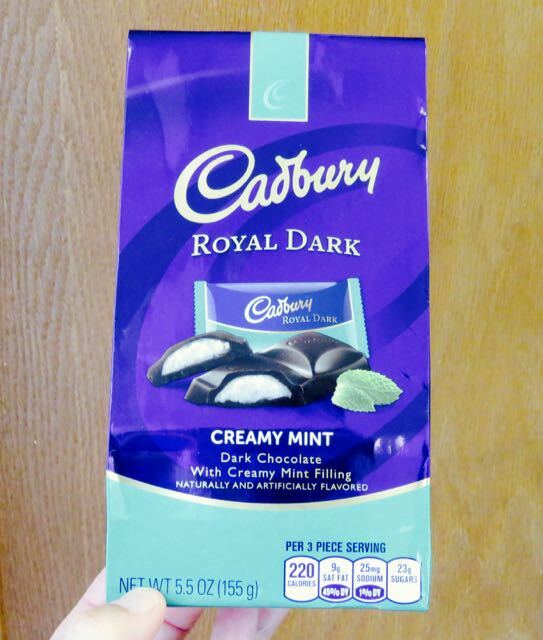 Fudgey dark chocolate with a creamy texture and melt surrounded a layer of mint in the middle. The combination worked well.